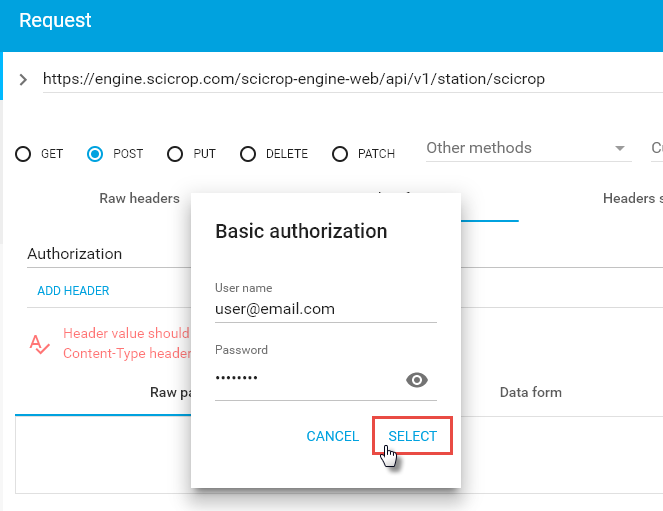 In order to get the full experience of all resources from AgroAPI, a SciCrop® Product, you need to know how our descriptive data modeling works. All of our systems are based on a main object called: SciCropEntity. Note that it contains 3 other objects and one list. authEntity: This object is used to store all the extra information related to system user authentication like IP, session ID, etc. 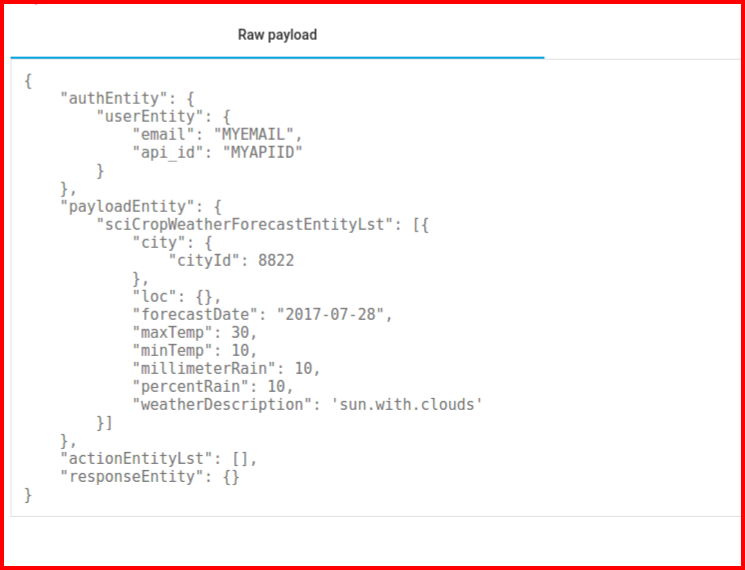 payloadEntity: This object contains only lists of objects like farmEntityLst, cropEntityLst, personEntityLst, etc. It is used to transfer information in and out of our API. responseEntity: This object is used to set the responses of each action on our API. Success, Expired Session, Database Import Error, etc are examples of returnMsg. Each return message has a specific returnId. 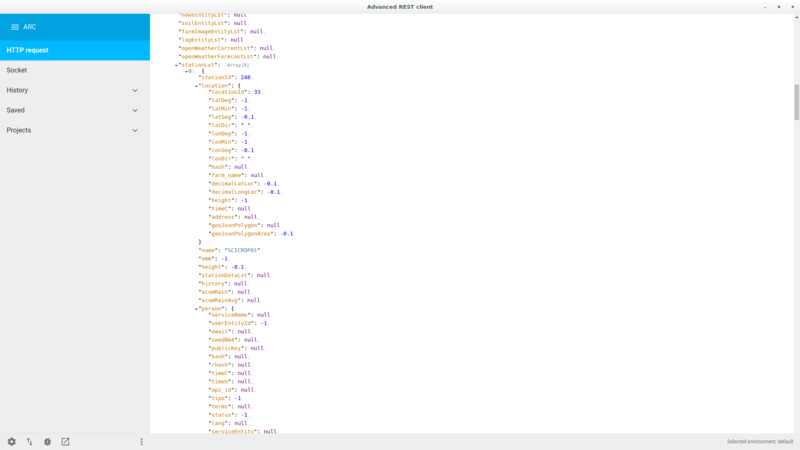 actionEntityLst: This is a list of ActionEntity objects. 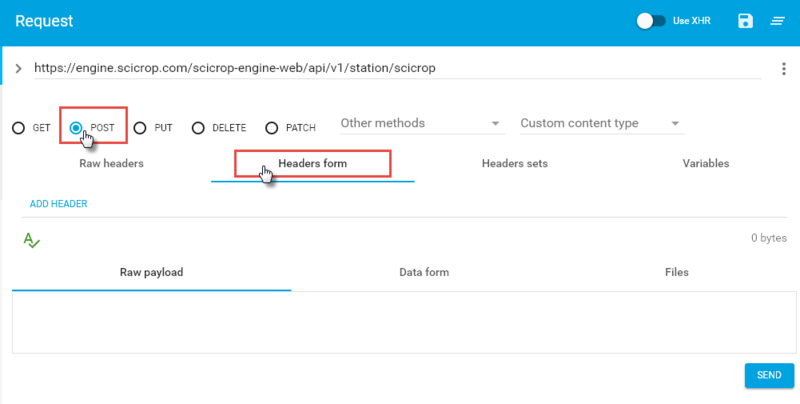 It is used to request a specific process execution by the API scheduler. 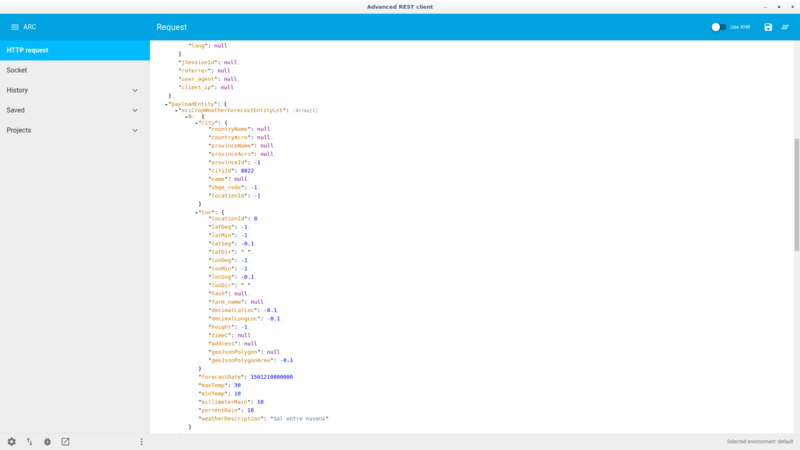 First, we will demonstrate a GET call in our API, through a command line interface, using curl. 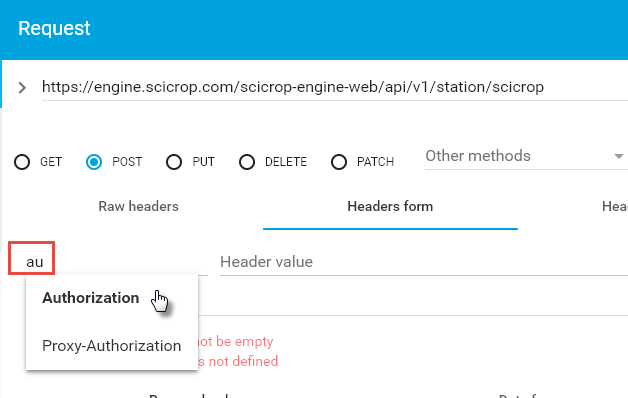 "restDesc": "Get SciCrop station data and send through API"
"restDesc": "Available rests for a given account"
Note that the JSON response of the GET call, shows a restLst array, with the rest services available to you. Then we can go to our second example, a POST call, passing a payload. 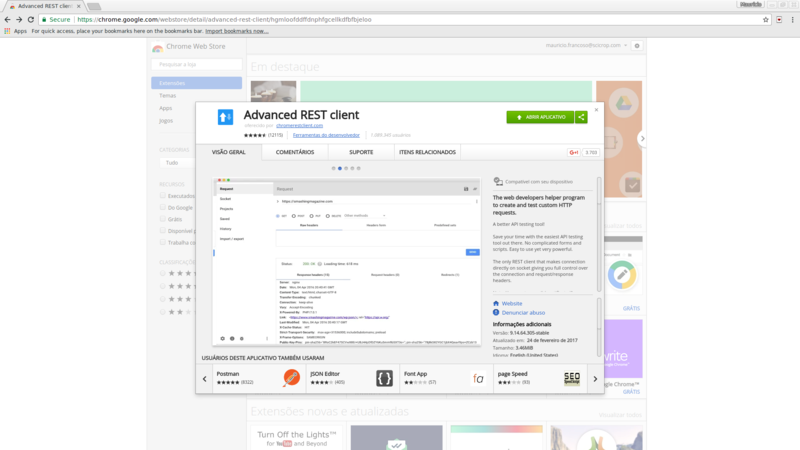 First of all, download and install Advanced REST Client, a Google Chrome Extension. 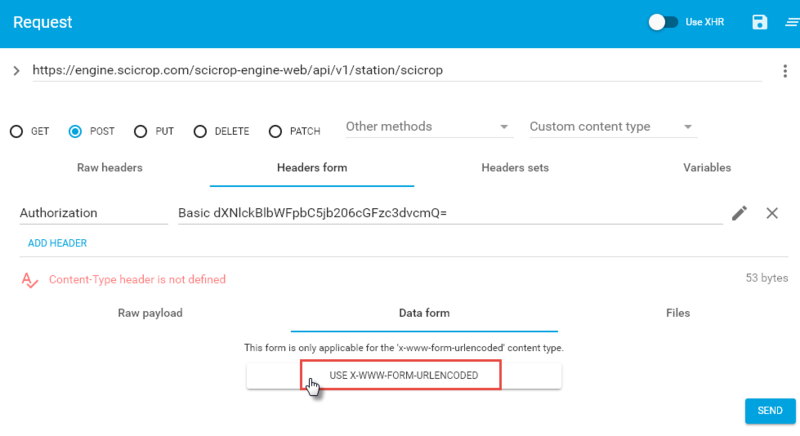 Click on Raw Payload and paste the code below on the blank box. Please note that you should replace your@email.com by your login email. 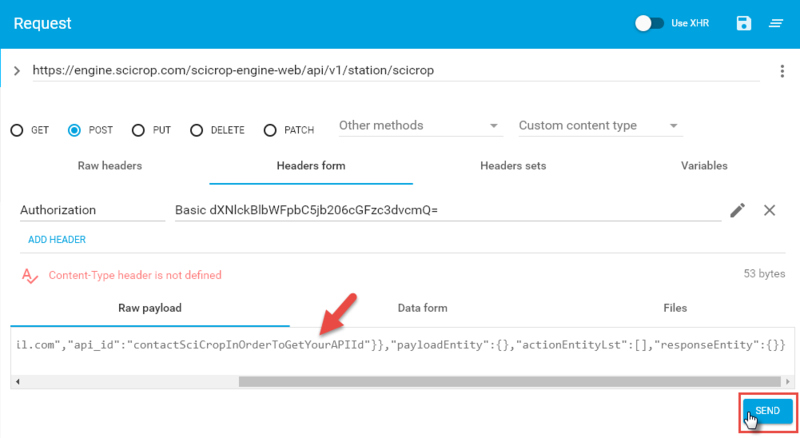 Also, Also, you should insert your API ID. 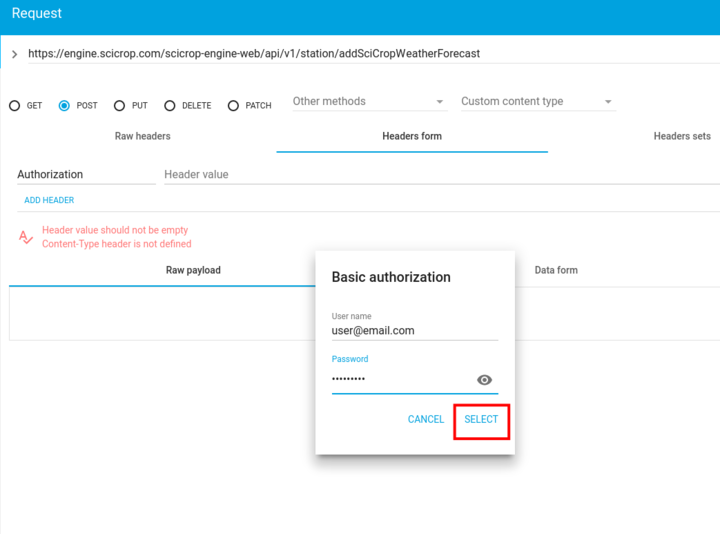 In order to submit the weather forecast data into AgroApi you should already have been installed Advanced REST Client, a Google Chrome Extension as we explained previously. 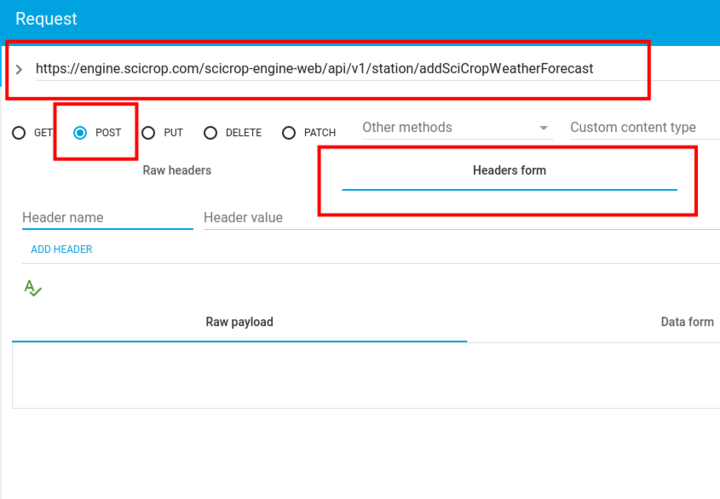 Click on Raw Payload and paste the code with the Weather Forecast data on the blank box. Your code should have the following information Please note that you should replace your@email.com by your login email. Also, you should insert your API ID.